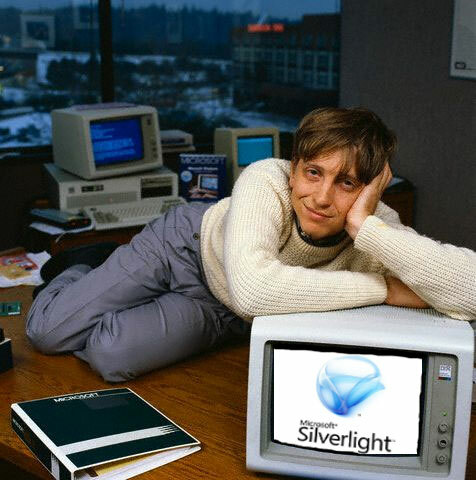 Now, because we’re using Silverlight, .NET developers (all 6 million + of you) can leverage your skill set to build rich, killer apps that make your data bling and highlight media in a geo-contextual way as has never been seen before. VESL leverages all of the drawing tools that come with Silverlight, so for Silverlight developers you’re not relearning how to take your computer art and force it onto a map. Instead, you’re starting with a map-based canvas instead of a blank one. Looks simple enough to leverage and I’m guessing since Microsoft developers are in love with Silverlight, it won’t be long before the JSAPI is pushed aside. It looks like people will start having to pick a side, Flash or Silverlight.